Our interview and preview is courtesy of Shona ODonnell, head of operations at iGaming Business. JW: The Amsterdam Affiliate Conference is always a popular event with each event growing bigger than the last one. How big of an event should this one be? SO: Its looking like its going to be significantly bigger than last year to date we are up 12% on overall registrations and 6% on affiliates. JW: With Clarion Events becoming the majority shareholder of iGamingBusiness, how are things changing and improving when it comes to the events themselves and what can delegates expect to be different? 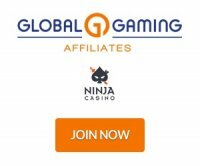 SO: Nothing has changed for us we are still iGaming Business, other than a move to some new offices and some new procedures behind the scenes. There will no doubt be positives with the backing of such a big events company but we are will absolutely retain our own identity and ways of working with our clients. We are a very tight team and really proud of being team iGB. JW: Is this the last year of Amsterdam and if so where will the next event be held? SO: At the moment I can’t say because we have to review the results of the survey we sent out to our past sponsors and exhibitors (make mental note to do this). Once we’ve seen what everyone has to say we’ll be in a position to share the news, which should be in Amsterdam. JW: What are some of the notable speakers attending and ones you think should draw the attention of delegates and affiliates? SO: ON the Executive track we have Nat Ware how is a really amazing TedX speaker on the economics of happiness. We have Jason Duke moderating on affiliate which we are very happy about. On BeTS we have Nathan Rothschild doing some very exciting stuff on big data and lots of talk around DFS and eSports and the future of these. I’m also hoping to confirm a really awesome speaker on SEO that’s hasn’t spoken before, so watch this space. Finally Marcus Tandler will be presenting his famous ‘slidestorm’ in the Player Acquisitions conference. JW: What are the social events and parties that we should be aware of, I mean "networking" events? SO: There are lots, we start with welcome drinks at the official hotel on Tuesday followed by the opening night party at the very cool Chicago Social Club, I’m looking forward to this one. On the first day of the conference we have separate drinks for those working in Bingo, followed by the main party at Panama, this is a big club so there is plenty of space for everyone to come along and relax over a drink. If you make it to day three then we will be hosting a meetup for igaming marketers and one for those working in sports betting. We close with the now legendary Euro Pub, it might not be the most glamour location of the week, but everyone loves it. We have tried to run smaller, separate events for specific niches to make it easier for people to meet the right people, faster and we’ve kept to this commitment without sponsors to help support it. Last but not least, it’s the Intertops Unwind Session taking place at the city beach by the RAI and it includes the perfect end to the event, a canal cruise. Places on this are limited and must be booked in advance, so do it quickly. JW: Why should everyone attend this conference especially those that are on the fence? SO: It really is the biggest single event in igaming, there is so much content across the two days you will absolutely take away something that will have a real impact on your business. It’s a great opportunity to catch up existing contacts and with the niche events an easy way to meet new ones. And it might be the last year in Amsterdam, who knows!